David Tennant's 10th Doctor is now a 6 1/2-inch tall vinyl figure - trench coat, Sonic Screwdriver, and all! 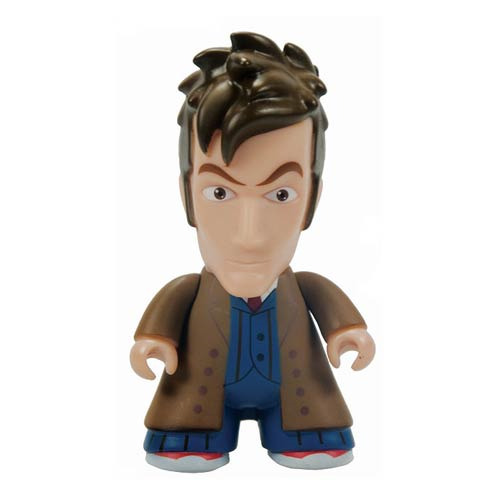 This Doctor Who Titans 10th Doctor Brown Trench Coat Vinyl Figure finds the 10th Doctor from BBC's Doctor Who in his instantly recognizable and classy-looking trench coat. He's as suave here as he is on the show - just look at that hair! Ages 15 and up.